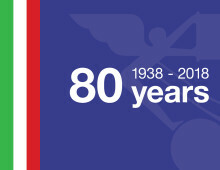 Panalpina celebrated 80 years of operations in Italy. The international provider of supply chain solutions flew in its Boeing 747-8F for an exclusive event at Milan’s Malpensa Airport. Panalpina CEO Stefan Karlen talked about the importance of air freight for Italy and Panalpina, the need for speed for the Italian high fashion industry, and Panalpina’s unique Charter Network. 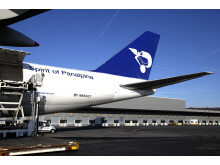 Cargolux has added a ‘Powered by Panalpina’ slogan to the livery of one of its Boeing 747-Fs and yesterday unveiled the freshly decorated plane in Luxembourg when Panalpina’s aircraft (Spirit of Panalpina) was at the airport simultaneously.